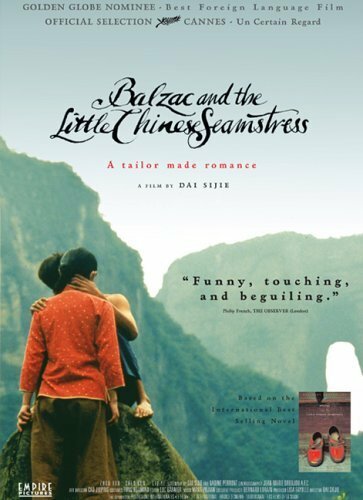 this friday (21 nov), we will be screening "Balzac & the Little Chinese Seamstress" in the store. 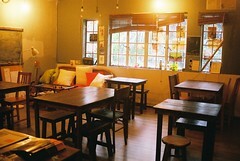 however, due to our limited space/seats (it's times like this that i wish we have a bigger store!! ), we've decided to make it a private screening, so we'll need you guys to RSVP your attendance via email. 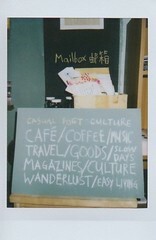 just send your name (and the people you're RSVP-ing for) + contact details to our shopkeeper at shini[at]casualpoet.com! 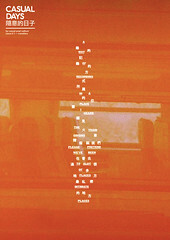 "Based on the 2000 semi-autobiographical novel of the same title by Dai Sijie, the film revolves around two young Chinese boys (played by Chen Kun and Liu Ye) of bourgeoisie backgrounds who were sent to a remote village in Sichuan province for three years of re-education during the Cultural Revolution. They both fell in love with a beautiful local girl (played by Zhou Xun), granddaughter of an old tailor and known to everyone as the Little Seamstress. 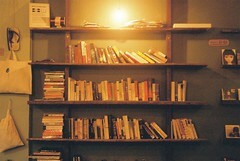 During those years of intellectual oppression, the three found solace and liberation in a collection of banned translated novels by Western authors, among whom their favourite was Balzac. The film explores the themes of youth, love, and freedom in those dark times in China." see you on friday! remember to RSVP! ooh i saw this one! it's fantastic.